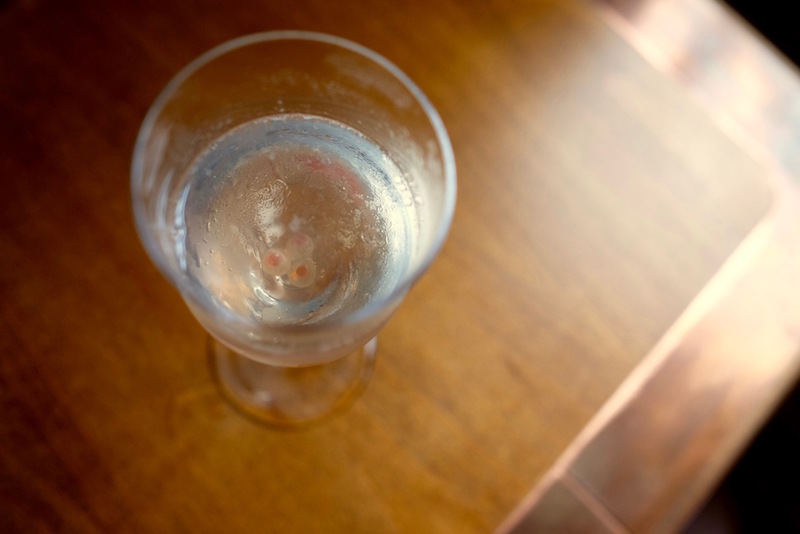 When Vijay Mudaliar disappeared from Singapore’s bartending scene – he left experimental cocktail bar Operation Dagger in the middle of last year – industry pundits surmised that the talented bartender would resurface again soon, possibly at the head of his own bar. They were right – Mudaliar reappeared as owner and head bartender of NATIVE, the latest cocktail bar to emerge along the crowded Amoy Street nightlife stretch. Hidden in an upper floor of a shophouse along Amoy Street, NATIVE is the culmination of two of Vijay Mudaliar’s dreams. One, of course, is to one day actually owning a bar of his own; the other is to be able to push the envelope of using Asian ingredients. To achieve the first, he had invested his total life savings. “Everything I have has gone into the bar,” Mudaliar admitted. “I’ll have to make this work.” Industry talk has it that Mudaliar had initially landed some investment for NATIVE, but the investor pulled out midway through the project forcing Mudaliar to scrape the bottom of his financial barrel. “(But) there are no regrets,” he insisted. The second was far easier to attain; NATIVE pulls together an impressive collection of spirits and liqueurs made in Asia, and couples them with suitably Asian ingredients for its cocktails. It also helps that Mudaliar himself is an active forager, and frequently scours local parks, secondary forests and even Pulau Ubin for herbs and other ingredients to use. 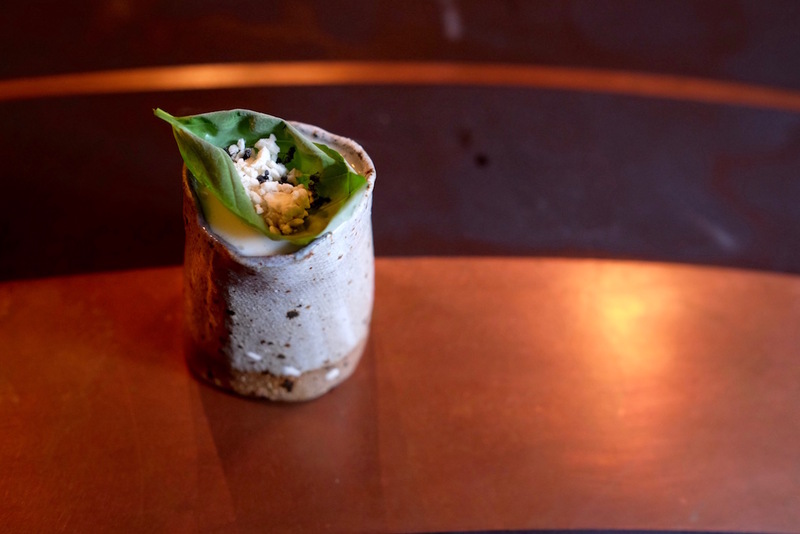 And perhaps because of the interest in nature that you’ll find at NATIVE drinks like Antz ($23, above). Inspired by Brazil and Thailand – Chalong Bay rum from Phuket, aged and fermented sugarcane juice, house-made coconut yogurt combine with ground salt-baked tapioca, basil leaf, basil meringue and edible ants – it tastes like a cocktail version of sa ku kao pod, that traditional Thai dessert of boiled tapioca with coconut cream. Then there’s Sensei From The Block ($20, above), a homage to the traditional Chinese medicinal halls that used to dot the nearby Chinatown area. 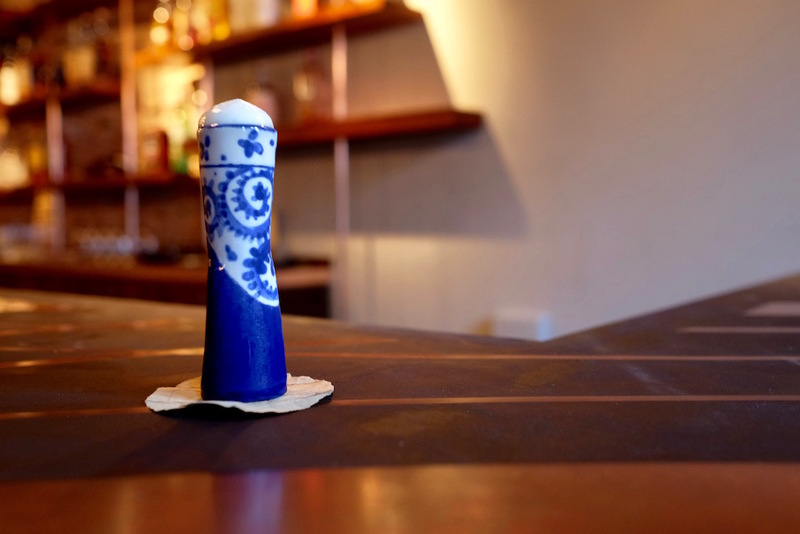 It uses Paper Lantern Sichuan pepper gin, along with black sesame paste, Chinese ginseng reduction, gingko nut foam as well as some black vinegar for acidity, culminating in a drink that reminds one of the herbal tonics a grandmother would concoct for the family for health reasons. Just with alcohol, of course. Likewise the Red Light District ($19, above) is a hat tip to the sleazier part of Chinatown; fortified wine infused with rose petals, the local aphrodisiac tongkat ali, and dragon fruit extract gives a pinkish red hue reminiscent of the red lanterns hung outside shophouses that would indicate them as brothels. 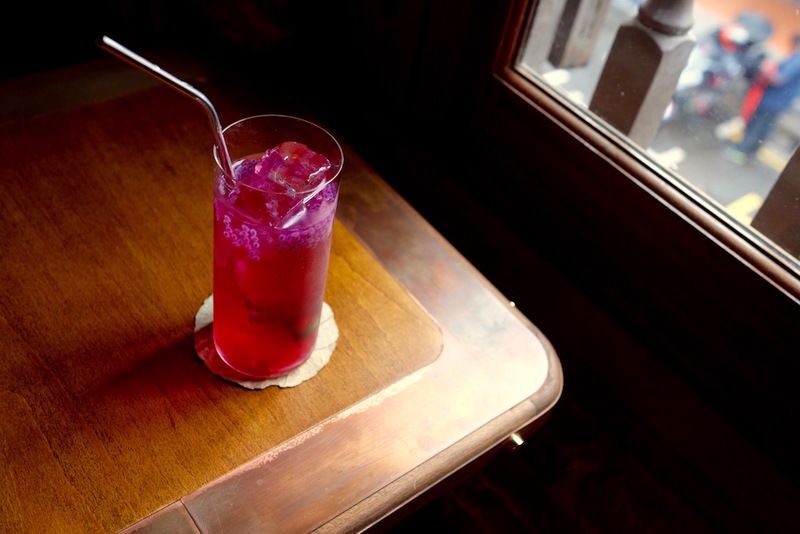 The long drink is also bittersweet like an aperitif… or love unattainable. Mango Lassi ($22) is a cocktail take on the classic Indian yogurt beverage; mango, tumeric, Indian rum, yogurt whey, pistachio foam and pomegranate molasses come together for a rich, earthy, and fruity cocktail that tastes totally like an Indian mithai. 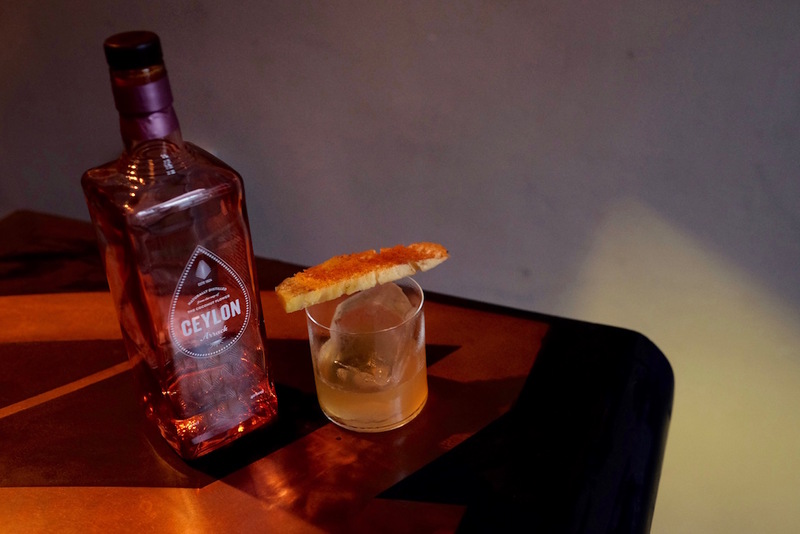 The Pineapple Arrack ($22, above) on the other hand leverages on the two other classic tropical fruits – Ceylonese coconut arrack is first distilled into toddy with pineapple skins and then aged in Sri Lankan wood; pineapple grilled with Ceylon cinnamon complete the short drink. But the best cocktail is the entirely unique Japanese-influenced Ikura ($21, above). Sparkling sake that’s been spiked with some acidity combine with briny ikura – salmon roe – for a strangely sweet, sour, savoury and umami experience that’s hard to describe, but utterly delicious. The proffered cocktails at NATIVE are lovely, but if there’s any criticism about NATIVE is that the drinks menu is rather limited at the moment. Most of them are also ‘thinking’ cocktails – those that amaze you for their complexity and provenance – but, aside from the easier drinking Red Light District and possibly the very tasty Ikura, aren’t quite sessionable enough to want to make you order them again and again. And we do want NATIVE to make us revisit as often as we can. There are other minor teething issues too; the upper deck is still not open, and the bar snacks menu not yet made available, but already we can see NATIVE becoming a favourite in the local drinking scene. NATIVE is located at 52A Amoy Street, Singapore 069878.